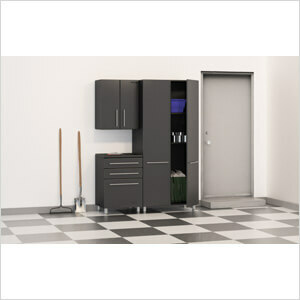 This 3-piece kit will get you off to a great start in getting organized in style. 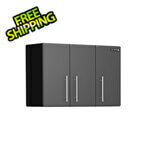 This three (3) piece cabinet kit includes; 1-Tall 2-Door Cabinet, 1-Three Drawer Base Cabinet and 1-Two Door Wall Cabinet. Other features include; strong 3/4" cabinet construction, fully adjustable Euro hardware, ball bearing drawer glides for smooth operation, brushed chrome cabinet handles, designer style adjustable feet, easy assembly and much more.